Wealth Management System Limited (WMSL) can be deemed successful because of its company’s core value of being “Professional Best”. Not only does the company performs research and development for quality software product, it also has a consultant team composed of highly credentialed and experienced professionals from renowned multinational institutions. With all the awards and recognition it received the past years, still the company does not forget to give back to the society. 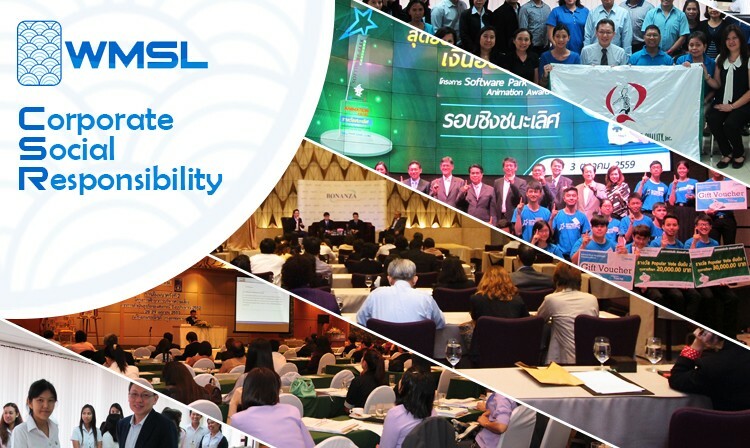 Through its Corporate Social Responsibility (CSR), WMSL had done many projects to enhance financial, investment, and risk management knowledge for the society. The company organized numerous training and seminars to share those knowledge not only to its clients but students as well. Not only in Thailand, WMSL also provided portfolio management technique training programs to Vietnamese local securities and fund management companies’ staff. In 2008, the company signed MoU with the Securities Research and Training Center of the State Securities Commission (SRTC-SSC) of Vietnam to provide specialized training programs. The Animation Award organized annually by the company can be considered also as one of its CSR projects. The contest aims to distribute knowledge about savings to the public via animation and make the Thai people of all ages aware on the importance of savings for their future stability as well as the nation. 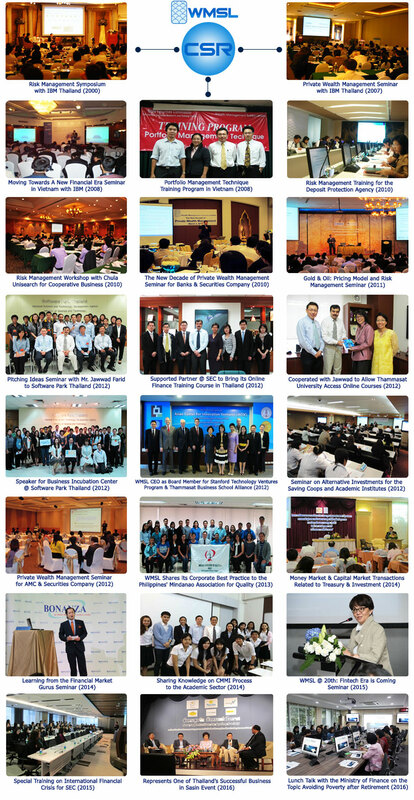 The success of this annual contest has contributed to the awareness of the Thai society in saving money and the know-how to use the valuable tools that WealthMagik provides to properly manage their investments. From WMSL’s experiences and reputation in financial management, investment and risk management, the company aims to help build a better society through advocating for financial knowledge.